Your upcoming movie House Shark - in a few words, what is it about? Simply it's Jaws in a house... lol - basically this guy Frank finds his house under attack by a strange creature he eventually learns is called a House Shark. 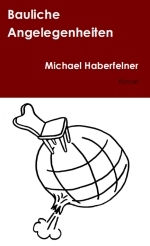 He sets out to reclaim his home with the world's only House Shark expert, Zachary, and a grizzled old real estate agent, named Abraham, who had a run in with the beast years earlier. 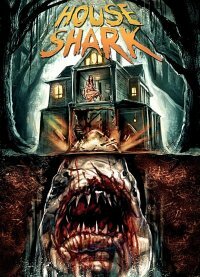 Now I don't think I'm giving too much away saying House Shark was somehow inspired by Jaws - so what was the basic idea to bring that movie's story to a very domestic level? A few years ago, we were going through this long spell of freezing temperatures in Central NY. All this ice formed on my roof and when it would crack it would make these loud booming noises. I joked about it on Facebook and made a joke about zombies being on the roof. 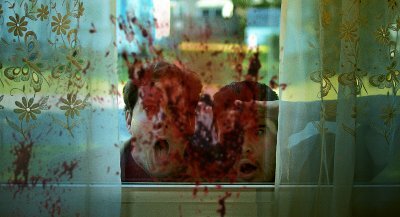 Then thought zombies in a house - like stuck inside the house. Then thought I didn't want to do zombies, but what about a shark? I was really trying to think of an idea for a shark movie around the same time, and it just came together. Other sources of inspiration when dreaming up House Shark? Really it's mainly Jaws, but given it is House Shark, it can only be so serious you know? There's scares in it but in a sense it's a homage to B-movies in general as well as that classic movie. From what I know, you want to go all practical effects with House Shark - so do elaborate on that aspect of your movie! Well as much as possible. I'd like to do a monster along the lines of the one in The Deadly Spawn, but still working out the details with the FX guy Marcus Koch [Marcus Koch interview - click here]. I'm hoping it is mainly a puppet of sorts, like that creature was, as seemingly realistic as possible, but we have considered the option of someone being inside to control it as well. What can you tell us about the intended overall look and feel of House Shark yet? I'm trying to make it as cinematic looking as possible, shooting 4k and renting the best lenses we can afford. I'm going for longer takes and letting the actors do their thing while moving organically within the shots... and from there adjusting them and the camera and reframing as needed to keep it visually interesting. Anything you can tell us about your movie's projected cast yet? Just the main leads... I don't like to reveal roles until they've been shot in case of changes. Wes Reid, who starred in my movie Clay, and has a fantastic range of characters he can play, is Abraham. 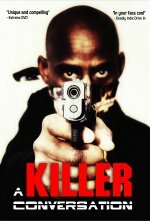 Trey Harrison who was my main villain in She Kills plays Frank, and he's a great natural actor. 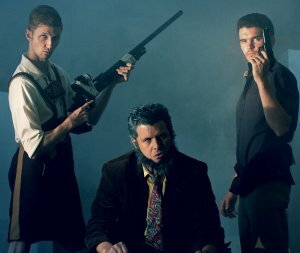 Michael Merchant who was in She Kills and Empire State of the Dead is great with comedy and over the top characters. He adds a lot to the roles with his own ideas. I'm happy to be working with all three of them again, and for the first time with all three of them as leads in the same project. As far as I know, House Shark is still in its fundraising stages as we speak - so do talk about your campaign for a bit! Yes, we've raised about $1000 so far at just under a week in, so good start but obviously a long ways to go still. I know a lot of people have told me they will be grabbing a perk but I definitely need to keep spreading the word and keeping people aware of it. There's a lot of releases out there and a lot of crowdfunding campaigns, so the market is packed and you have to do what you can to stay separated from the pack. I also tried something a bit different on this one in that I'm offering up copies of She Kills and/or House Shark as perks. Once the budget's in place, what's the schedule ... and any idea when and where the film might be released onto the general public yet (and I do realize it's waaaay too early to ask of course)? 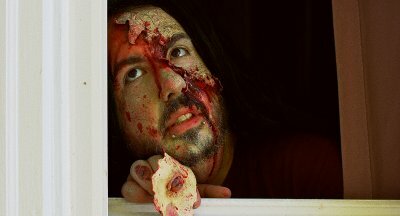 We shoot a week in March to test the monster FX and shoot some key scenes in the house. Then we have 2 weeks in August were we should be able to wrap up principal photography. We were originally going to shoot the rest in June but my producer, Jonathan Straiton, his wife is expecting a baby at the beginning of July so he asked if we could delay it a bit, and of course I'd accommodate that, lol. I'd like to have it done and the fundraiser copies in the mail by August 2017. Any future projects beyond House Shark you'd like to share? You know what, I'm never sure what will be next. I have so many projects written out or partially written out. I have Empire State of the Dead basically all done and premiering in 2016 at some point. I did that one between She Kills and House Shark and it was more serious. I don't want to roll from crazy, funny horror movie to crazy, funny horror movie or I'll feel like I'm just making the same movie, so whatever I do next will probably be a LOT more serious. Anything else you're dying to mention that I've merely forgotten to ask? 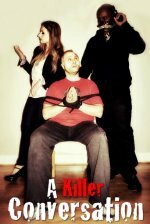 Just while you're checking out House Shark take a look at our other trailers on YouTube, like for She Kills, and please help spread the word so we can hit our budget, thanks!